Anyone who’s up to date with the world of wax vaping knows that dabbing is by far the most popular method of consuming wax. If you’re looking for the best way to enjoy the raw power of your favorite dabs, e-nails are the most modern and safest way to go. Dabado is a Colorado-based company that has quickly established itself as one of the worldwide leaders in e-nails, with the original Bolt and the Bolt Pro both being amongst the most popular ERigs on the market today. The Bolt 2 is the latest entry in this line of high-end e-nail kits. How does it compare to the previous versions? If you have any experience with one of the other products in the Bolt family, then you’ll be able to use the Bolt 2 right away without any learning curve. It functions almost exactly the same. If you’ve never used a Bolt or any other e-nail before then there will be a bit of a learning curve, but it’s actually really easy once you get the hang of it. Using an e-nail is significantly easier than using the tradition torch method of dabbing, so the Bolt 2 is great for brand new dabbers. The Bolt 2 uses a single button to control almost every aspect of your dabbing experience. Click the button three times to turn it on at a low temperature setting, then click it five more times to crank up the heat. It doesn’t get much easier than that. The nail and the glass both attach directly to the battery base. You get three different nails included in the box: quartz, titanium, and ceramic. It’s a good idea to experiment with each one since they all give completely different dabbing experiences. The best one for you is the one that meets *your* unique needs. Just put some concentrate on the nail and use the dab tool to cap the end, which traps the vapor that you’ll then inhale. Easy as can be. I found that the vapor quality from the Dabado Bolt 2 is very similar to the Dabado Bolt Pro, and slightly better than the original Dabado Bolt. In some ways the limited temperature options are kind of annoying, because I’m the type of guy who likes to tinker with things and get everything exactly the way I want it. But I can absolutely see the value in limiting the options to the few that the Dabado team thinks work the best. Let’s face it: most people want something that just works, and there’s nothing wrong with that. The Dabado Bolt 2 just works. Perfectly. 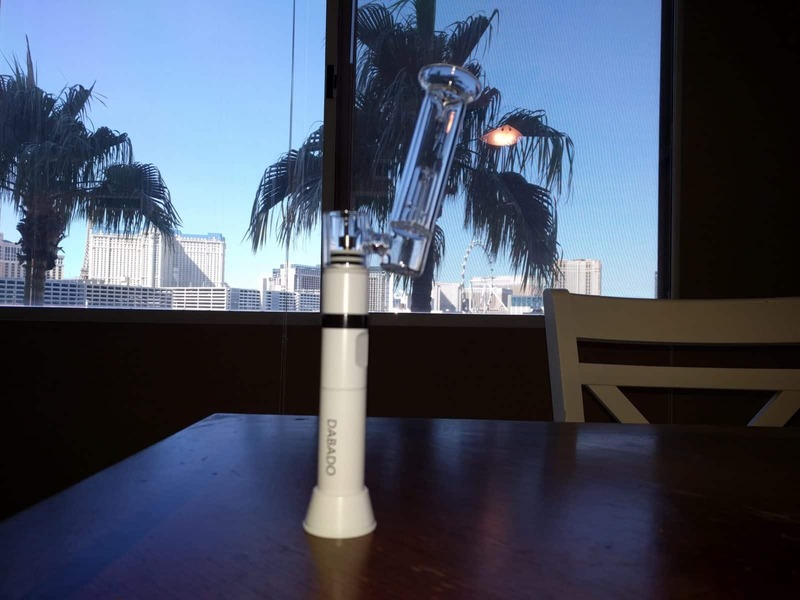 The included water filtration tool does an excellent job of cooling down the vapor and giving you a much smoother, less harsh dabbing experience. If you’re a fan of the water filtration attachment, I’d highly recommend buying the aftermarket Dabado Orbit filtration attachment, which I found does a much better job of diffusing the vapor and makes it even smoother than the stock option. But that’s a matter of personal preference. The best place to buy the Dabado Bolt 2 is directly from Dabado.